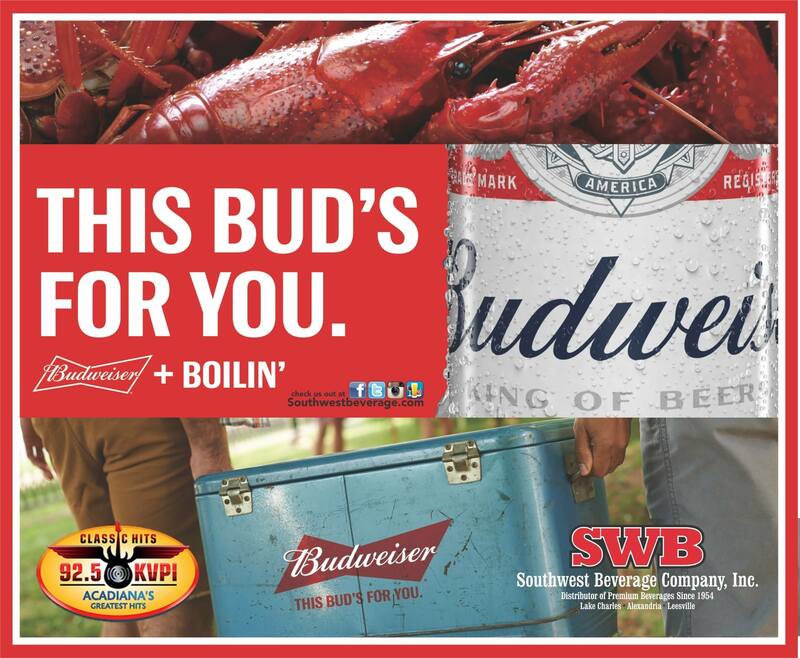 Classic Hits 92.5 KVPI is teaming up with Southwest Beverage to qualify listeners every day for the 2019"Bud 'n" Boilin" contest. 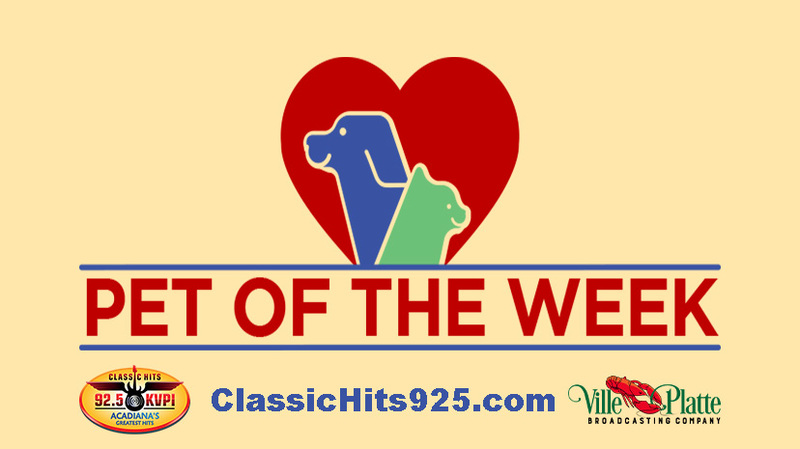 Each day we will qualify five lucky listeners for the grand prize drawing. The cue to call is the sound of the beer can tab being pulled off and beer being poured into a glass. Be caller 5 when you hear the cue to call. You must be 18 or older to qualify and one qualifier per family . We will have a drawing to choose our grand prize winner Wednesday April 17 at 3:00pm. 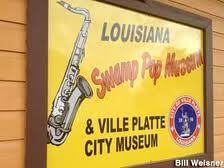 Our winner will win Budweiser beer, crawfish, Ice chest and a crawfish boiling kit. Nothing goes better than a crawfish boil with a cold Budweiser listening to Classic Hits 92.5 KVPI.